Every generation has a tendency to despair at the next one’s perceived shortcomings, and Chinese society is no different in this regard. The “Little Emperor” generation – those born during China’s strict one-child policy, have been judged by many weary elders as spoilt and tantrum prone due to the overwhelming attention bestowed on them by doting families. However, new research from Hiroshima University’s Associate Professor Yoshihiko Kadoya suggests that - in the workplace at least - the one-child generation is just as cooperative as preceding generations of Chinese workers. 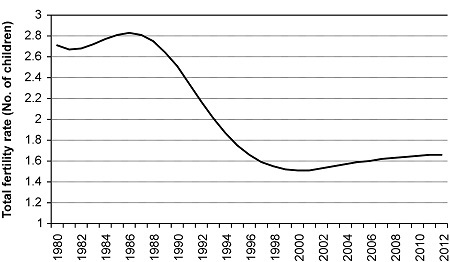 The study, the first to compare workplace cooperativeness between those born before 1979 when the one-child policy was implemented, and the one-child generation increasingly working alongside them, thus challenges earlier predictions that this pampered cohort would be the most self-centred in China’s history – resulting in the overturning of millennia-old Chinese ethics of morality and order. Dr. Kadoya from HU’s Department of Economics based his findings on face-to-face interviews, conducted by Osaka University, with workers aged 20-70-years-old in six major Chinese cities. Interviewees were asked to respond to the statement, “At work, I should follow the opinion of the group”. The average score of “willingness to cooperate” in the workplace, based on responses, was found to be 3.86 on a five-point scale, where one indicated complete disagreement and five indicated complete agreement - showing that Chinese workers as a whole are seemingly very cooperative. 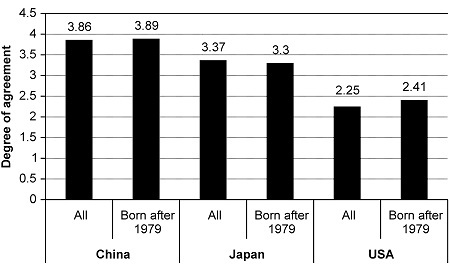 When the results were broken down into generations, workers born before the one-child policy were found to have a cooperativeness score of 3.89 - and those born during the policies implementation a score of 3.8, showing no real difference in willingness to pull one’s own weight in the workplace. To check the robustness of these results an alternative measure of cooperativeness took into account personality traits and also found no discernible difference between the two generations. 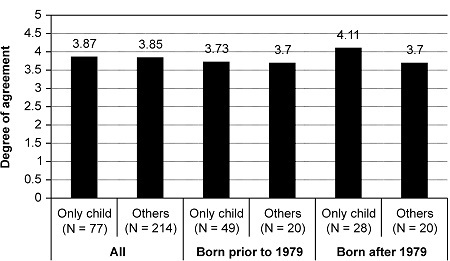 When Dr. Kadoya compared these findings with an international survey asking participants in the USA and Japan to respond to the same statement, the “little emperor” generation was also found to be significantly more cooperative than their overseas peers. Interestingly, while previous research suggested that the one-child generation is in fact more self-centred and individualistic in their private lives than their forbearers, this independent streak appears to be discarded at the workplace door. The study shows that "Little Emperors" are more cooperative than their American or Japanese peers. Dr. Kadoya puts this dichotomy in character down to China’s Confucian heritage - a belief system that requires workers to be loyal to their employers, and which considers work the pivot on which life revolves. “Management of workplace diversity and the promotion of a cooperative work culture is important if organizations are to achieve their objectives. Our study suggests that increasing the share of one-child generation workers in a given workforce is not going to negatively affect cooperation amongst workers – therefore companies should not be put off giving “little emperors” a chance to prove themselves on the office or factory floor”.